Protect all that's needed. Are light and easy to wash, care for and are durable. I use them for transport and working the horses in. No bell-boots needed! I really like these float boots. They are secure and protective without being big and bulky. 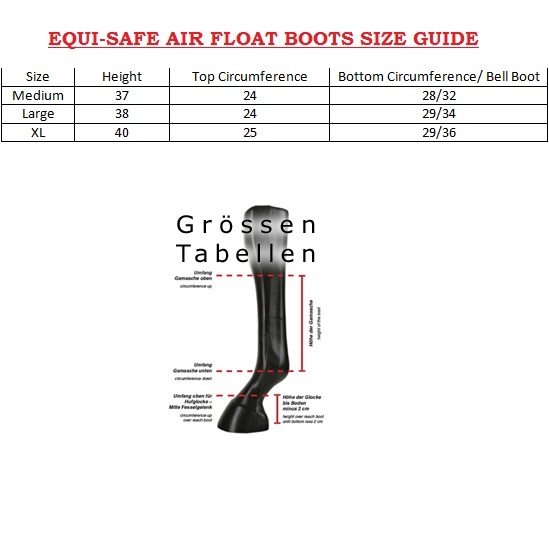 I've found in the past that float boots tend to sag/fall down, or twist around. These ones are nice and secure, and don't move around. The best float boots ever, and awesome to put over white socks in the paddock the night before competition to keep them clean.